Is a new design language enough to make Sony's latest pair of smartphones contenders? 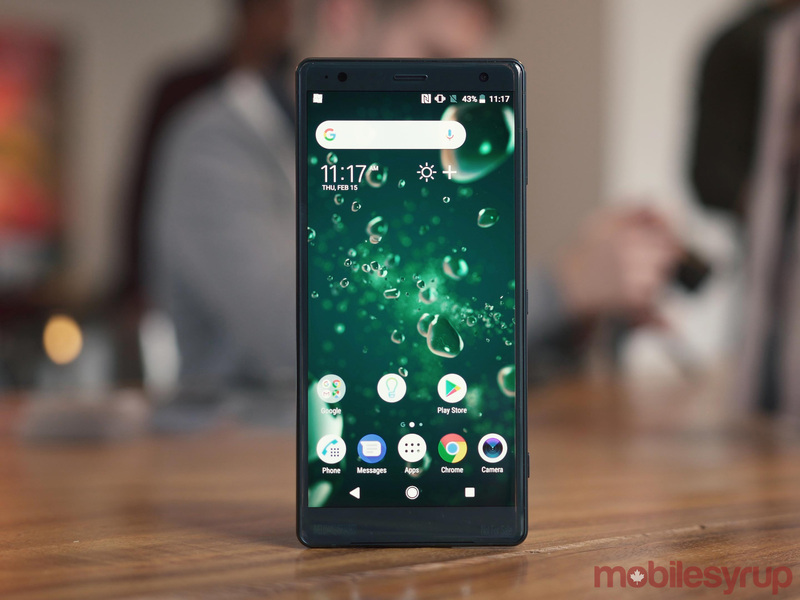 Ahead of the phone’s official reveal of the Xperia XZ2 and XZ2 Compact today at Mobile World Congress in Barcelona, Spain, Sony invited MobileSyrup to check out the two devices at a special hands-on event in New York City. While there, we had several hours to play with the new smartphones and left the event mostly positive about Sony’s newest offerings. Read our detailed thoughts below. After releasing far too many phones with the same tired design, Sony has finally moved to a new design language. The company calls its new design ‘Ambient Flow.’ In moving to its new look, Sony says it drew inspiration from water, emphasizing that its aim was to create a phone that comes ‘alive’ as it reflects light. 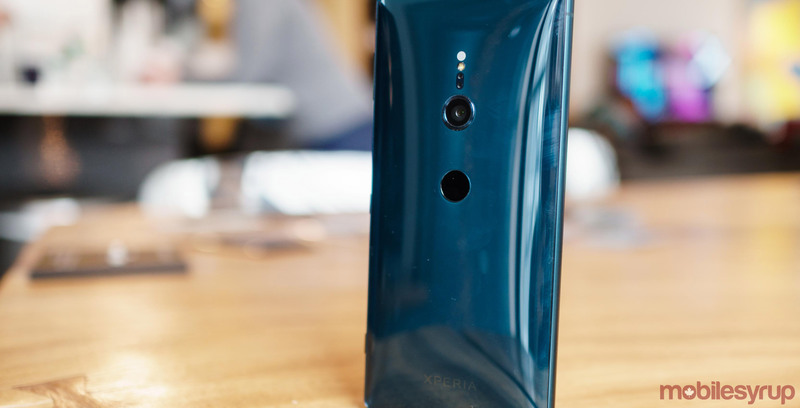 In practice, what that means is that the flagship XZ2 features a translucent finish and a more curved design than past Xperia smartphones. As a result of the former design quirk, the XZ2 shares more than a passing resemblance to the HTC U11. As you can see in the photos accompanying this piece, the new finish is prone to attracting fingerprints and smudges. It’s not an unattractive design, but it’s also not striking. Meanwhile, the less premium XZ2 Compact feels, well, less premium. 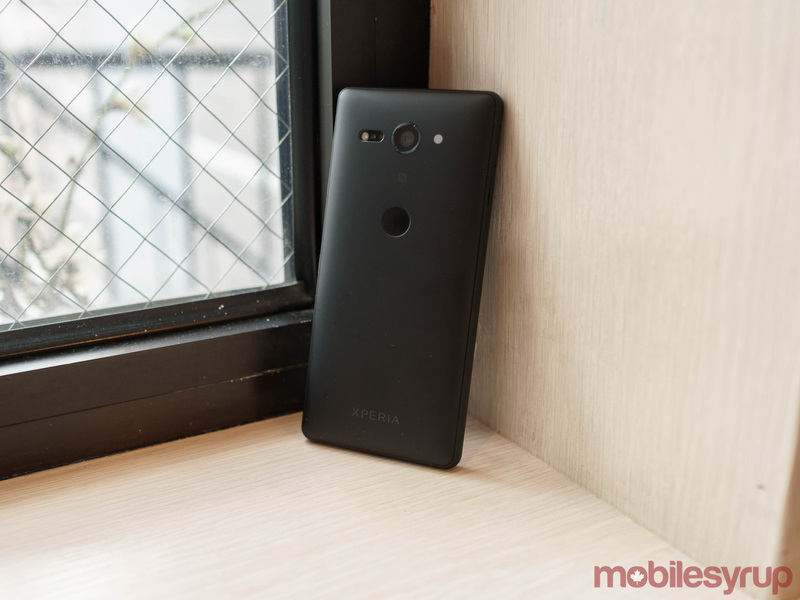 Perhaps it was an issue with the pre-production models that Sony brought to the event, but the Compact felt cheaply made compared to the XZ2. One other major difference between the two handsets is that the XZ2 features a new, larger haptic motor that isn’t present on the XZ2 Compact. On the XZ2, the new motor improves the feel of using the phone significantly compared to other Android smartphones. That said, I left the hands-on more fond of the Compact, in part because I prefer smaller phones, but also because it doesn’t have the translucent finish of its bigger sibling. I’ll also note both phones are thicker than competing devices on the market in a way that makes them feel dated. 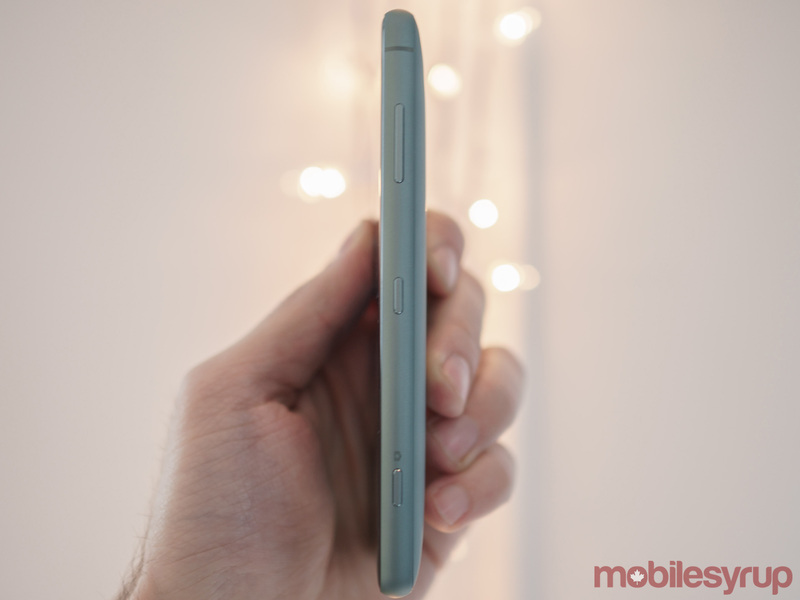 Take the XZ2, for example — it measures in at 11mm thick. In contrast, a device like the Essential Phone, which I had with me that day, is a much more svelte 7.8mm thick. 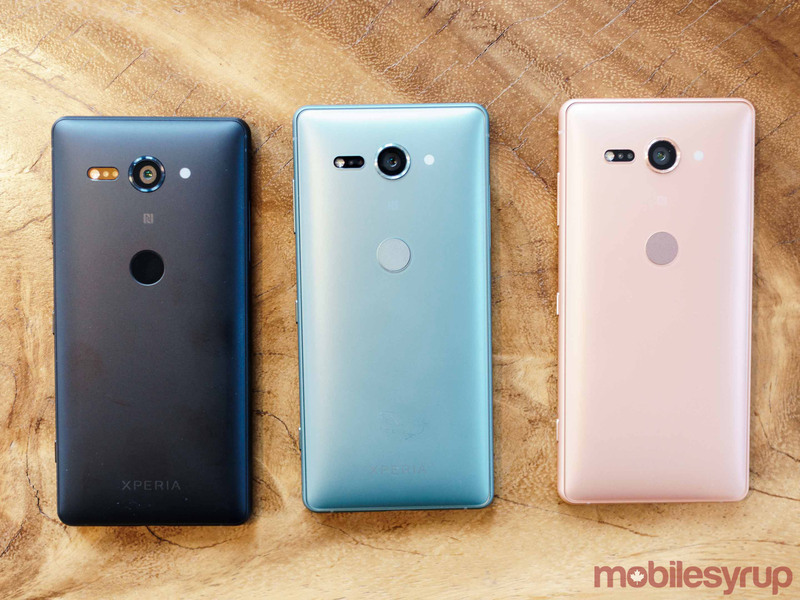 The XZ2 will ship in four colours: ‘liquid black’, ‘liquid silver’ ‘deep green’ and ‘ash pink.’ When it came to Sony’s new flagship, I left the company’s event liking the plain black and silver colours over their more adventurous counterparts, if only because the latter two didn’t weren’t the most attractive takes on green and pink I’ve seen. Continuing on a legacy established by past Xperia smartphones, the XZ2 and XZ2 Compact are IP68 certified water- and dust-resistant, meaning both phones will be able to survive the occasional champagne shower. Whatever any leaks may have suggested leading up to the announcement of these two phones, the XZ2 and XZ2 Compact do not feature OLED displays. For at least one more generation, Sony is sticking with LCD panels on its smartphones. 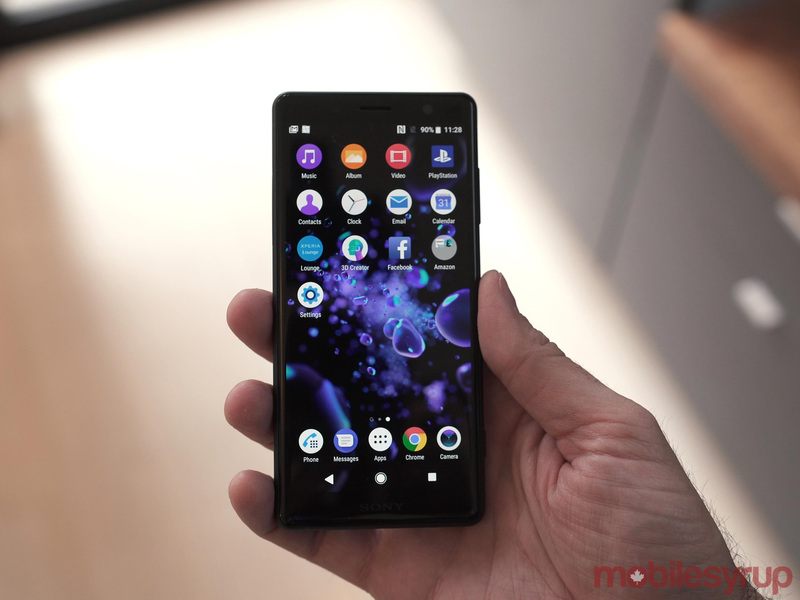 While missing out on some advantages that OLED panels bring with them is unfortunate, Sony has at least decided to start making smartphones with displays that feature 18:9 aspect ratios, with both the XZ2 and XZ2 Compact adopting the fashionable new aspect ratio. According to the company, the 5.7-inch XZ2 features a 13 percent bigger display than the XZ1 thanks to its new aspect ratio. Additionally, for the first time on one of the company’s Compact models, the XZ2 Compact features a 1080p display instead of a 720p like past models. Sony also claims both displays will be able to upscale standard dynamic range content (SDR) to high dynamic range (HDR). Despite any perceived shortcomings on the display front, I liked what I saw from the XZ2 and XZ2 Compact. While at the event, I watched a couple of HDR videos on YouTube and came away impressed with how the two phones handled the task. Colours looked true to life with just the right amount of saturation and luminance, while characters and text looked sharp throughout. Besides the new design of its phones, Sony spent a lot of time playing up the camera and audio capabilities of the XZ2 and XZ2 Compact. Both phones feature 19-megapixel rear-facing cameras capable of capturing video footage in 4K and HDR. The XZ2 and XZ2 Compact will be the first phones on the market capable of capturing video in both 4K and HDR. I didn’t get to take too many pictures with either the XZ2 or XZ2 Compact. Many of the demo units at Sony’s hands-on didn’t have functioning camera apps because they were on non-final software. When I did find one unit that had a working camera app, I was able to take some great shots. Now, I should mention Sony hosted its hands-on in a beautiful Manhattan loft adorned with multiple large windows. And despite it being an overcast day in New York, the hands-on area was bathed in soft light. In that situation, almost any camera would have taken at least a couple of great shots. Still, the XZ2 delivered nonetheless. I took one photo of former MobileSyrup editor Daniel Bader using the XZ2’s portrait mode I would have been happy to keep had Sony let me. I also had the chance to dig through the camera’s app settings. I came away impressed with all the options for serious photographers. Almost every option I could want on a smartphone camera was there, including more advanced features like alternate metering modes. Similarly promising was video capture. The new XZ2 family can capture slow-motion video at 960 frames per second for six seconds at 720p and three seconds at 1080p. This was a fun feature to play around with at the hands-on event and worked well. On the front of both smartphones is a 5-megapixel camera. Building on the 3D mapping technology Sony shipped with XZ1, the company’s 3D Creator is now available via both the rear-facing and front-facing cameras, on both the XZ2 and XZ2 Compact. 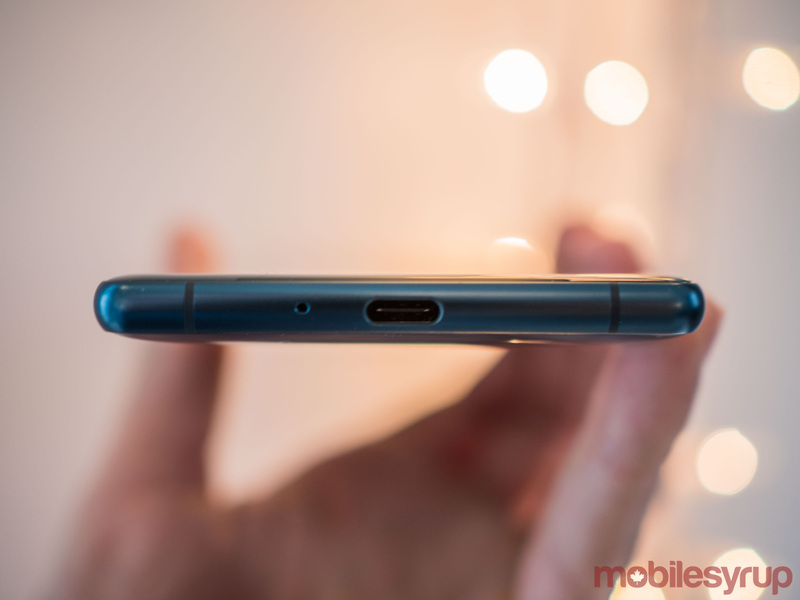 Despite their respective thickness, neither the XZ2 nor the XZ2 Compact feature 3.5mm headphone jacks. While there’s something to be said about following industry trends, it’s perplexing to see Sony abandon the port, as the company is known for manufacturing a variety of high-quality wired headphones. To make for the omission, both phones support high-resolution audio through USB-C, though not through Bluetooth. Additionally, both phones come with front-facing stereo speakers. Additionally, Sony says both the XZ2 and XZ2 will ship with a USB-C to 3.5mm adapter. Moreover, unlike Google did with the Pixel 2, Sony has built the XZ2 and XZ2 Compact’s digital-to-analog audio converters (DAC) directly into the devices (on the Pixel 2 and Pixel 2 XL, the headphone DAC is offloaded to the USB-C to 3.5mm audio adapter). Internally, both phones feature Qualcomm’s latest flagship system-on-a-chip, the Snapdragon 845, as well as 4GB of RAM and 64GB of UFS storage. Storage is expandable by up 400GB via a hybrid SIM tray that can either hold two SIM cards or a SIM card and a microSD card. Rounding out the spec sheet is a 3,180mAh battery on the XZ2 and 2,870mAh on the XZ2 Compact. The XZ2 also supports Qi inductive charging. Performance, in the short time I used the two devices, was impressive. Switching between apps was fast and seamless, with no apparent lag. Of course, I was using a device that didn’t have any extra apps installed, but in using the XZ2 I got excited about the 845. With Qualcomm’s X20 LTE modem onboard and Bell’s network, Sony, Qualcomm and Bell claim the XZ2 family will be capable of achieving gigabit LTE speeds in real-world use. All in all, I left Sony’s hands-on event feeling that the XZ2 and XZ2 Compact felt like competent phones. I’m not sure if Sony’s emphasis on video and audio excellence will resonate with Canadian consumers, but if you’re a Sony fan, there’s something to be excited about here. More importantly, after years of false starts, it finally feels like Sony has something it can build on. Bell will start selling the Xperia XZ2 later this year. Inline photos one and five courtesy of Matt Moniz. Check out his YouTube channel.